Ron and Maggie Tear Photography: Was that a Gormley ! Was that a Gormley ! 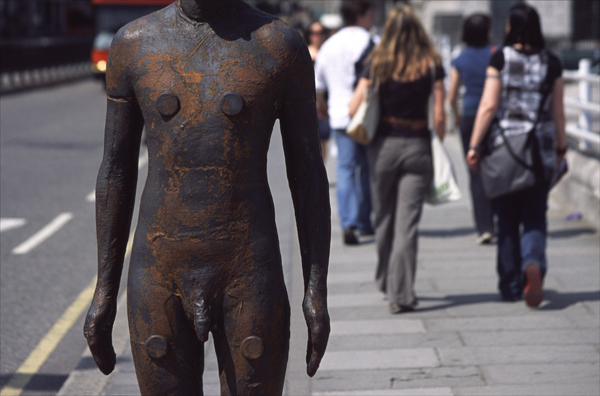 Part of the Anthony Gormley season in London several years back. This one taken on Waterloo bridge, the exhibition was in the Haywood Gallery. Expressive Londoners !